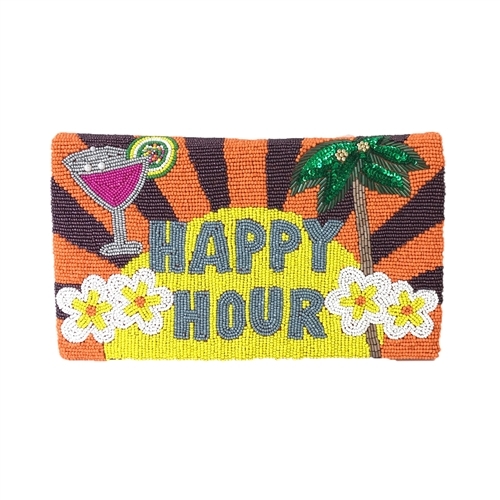 The Happy Hour Clutch by From St Xavier is a summer holiday essential. 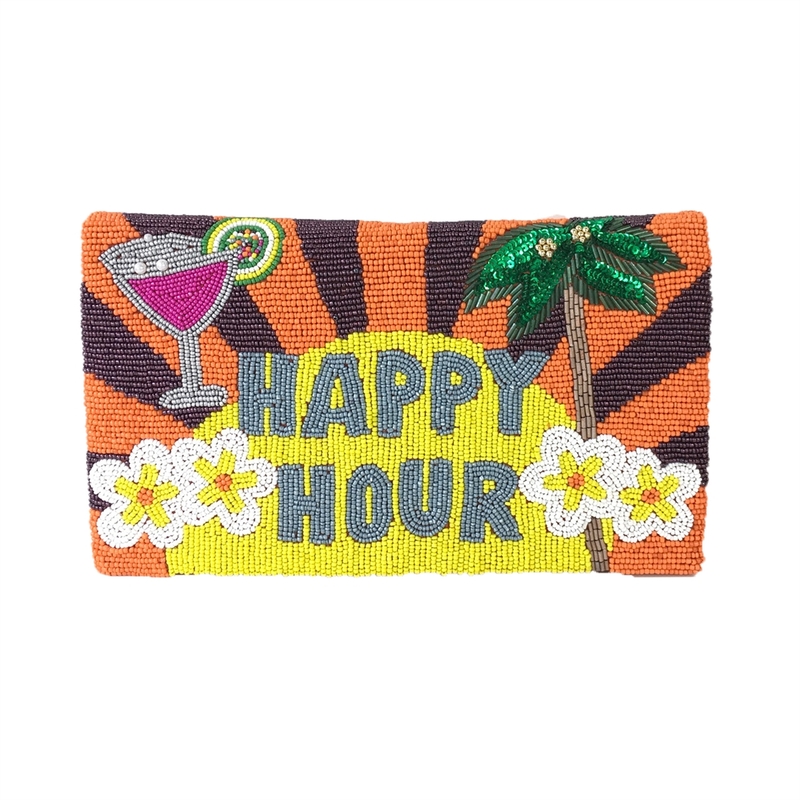 Multi colored, hand stitched glass beads depict tropical scene, complete with a sparkling cocktail and floral blooms Plus two of our favorite words: Happy Hour. 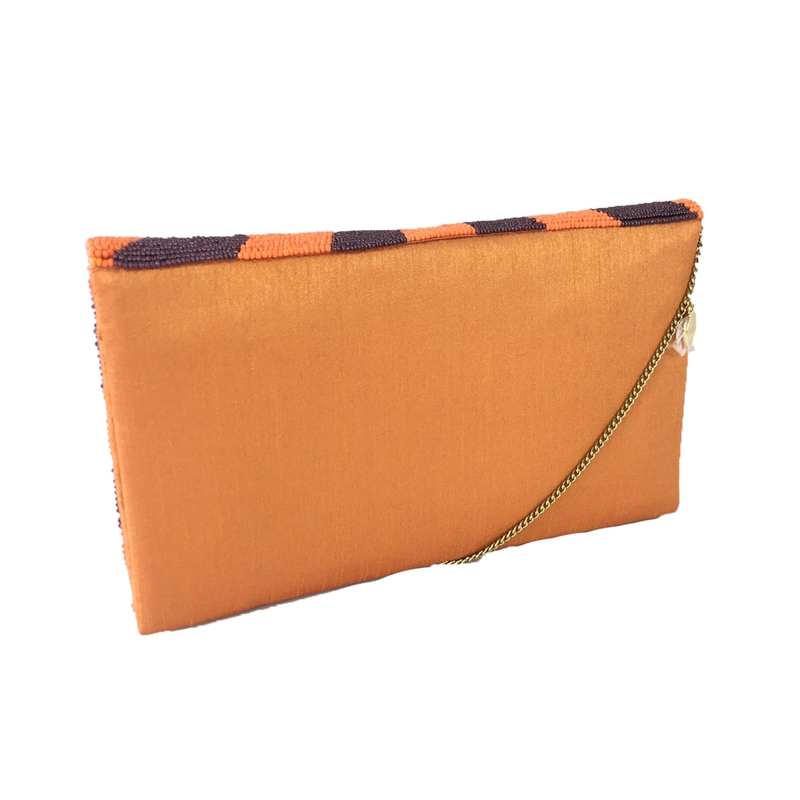 This cheeky clutch also comes with a detachable shoulder strap, so you can keep your hands free for clinking glasses. 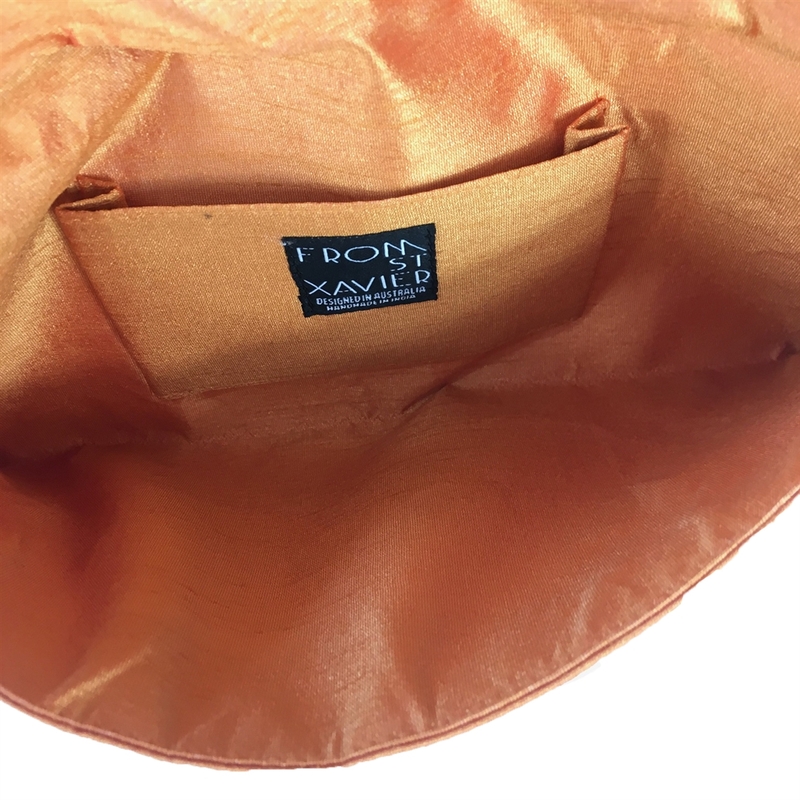 Hand beaded convertible envelope clutch in fabric embellished with glass beads and sequins. Front features a fun tropical motif with "Happy Hour" cheeky message.